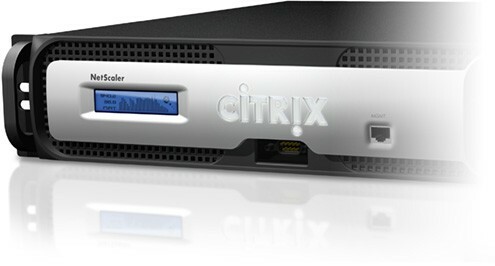 Citrix XenMobile is available in 3 editions. XenMobile MDM Edition: mostly used for Corporate Owned Personally Enabled (COPE) devices. While the user make use of the device, IT is able to manage it. XenMobile App Edition: used for both Bring Your Own Devices (BYOD) and COPE devices. This allows the user to make use of corporate applications on any device. XenMobile Enterprise Edition: This is the combination of the MDM Edition and App Edition and includes ShareFile Enterprise. XenMobile Device Manger server installed on a Windows Server 2008 / 2012 (R2). To wrap iOS application you will need to order a Apple Developer account. Please pay attention to the different types of Apple Developer Account, the iOS Developer Standard Program is limited to only 100 devices and needs all the UDIDs first. Better to join the iOS Developer Enterprise Program which has no limitations at all. iOS and Android applications need to be wrapped on a Apple Mac device. Windows applications need to be wrapped on a Windows device. Citrix NetScaler Gateway is only required for the XenMobile App Editon. Other editions can do without however, if you don’t want to deploy your XenMobile MDM and ShareFile server in the DMZ you can make use of NetScaler ADC as a reverse proxy. NetScaler ADC include NetScaler Gateway what is required for the XenMobile App editon. At the moment NetScaler ADC is only able to act as a reverse proxy for XenMobile MDM editon. NetScaler AAA module is not compatible with XenMobile Device Mananger, which means that unauthenticated traffic is still able to reach the backend server in your secure environment. If corporate policy requires to eliminate unauthenticated traffic in the secure environment you better deploy the XenMobile MDM server in the DMZ. Last but not least: AWARENESS! Before you start implementing please make sure to involve the user in het process. Inform them what they can expect after you implemented all this kind of mobility. IMHO this is the only way to get success out of your mobility solution. If you don’t inform them they won’t use it and continue to work with all the native tools which you can’t control like you can with a mobility solution. Very brief and informative. One confusion around wrapping I have is I downloaded WorxMail-Release-9.0.2-49.ipa from Citrix website do I still have to wrap it using MDX Toolkit if I want to deliver it using AppController. Yes if you want to be able to manage the app and specify policies rather than just offering the app you need to wrap the application. Thanks for your reply. Right now I am getting “Unable to download apps” error on all the iPad devices could this be because I haven’t wrapped the apps ? Try to add a link to a public App Store to push a app like Citrix Receiver. I Would start with checking your NetScaler policies.